Right now, Canada is the only country with a public health care plan not to include prescription drug coverage. The Council of Canadians is trying to change that. Pharmacare can save us a lot of money. In 2016, Canadians spent $30 billion to fill more than 600 million prescriptions. That’s more than four times what we spent on prescriptions 20 years ago. Drug prices are skyrocketing for Canadians and more people have to choose between getting the medications they need and paying for their rent or for food. A publicly funded, universal drug coverage program – also known as pharmacare – would provide all Canadians with access to the prescription medicines they need. People would be healthier and many would no longer have the economic burden of paying for medications out-of-pocket. Canadian employers would also benefit by not having to include expensive drug plans in employees’ benefit packages. Use the tools, materials and information on this page to help convince your MP, employer, friends and family about why the federal government should implement a universal pharmacare program now. The Council of Canadians mourns the 49 lives taken and dozens more injured in the terrorist attack on two mosques in Christchurch, New Zealand yesterday. We are grieving alongside Muslim communities everywhere and stand united in denouncing Islamaphobia and racism in all forms. 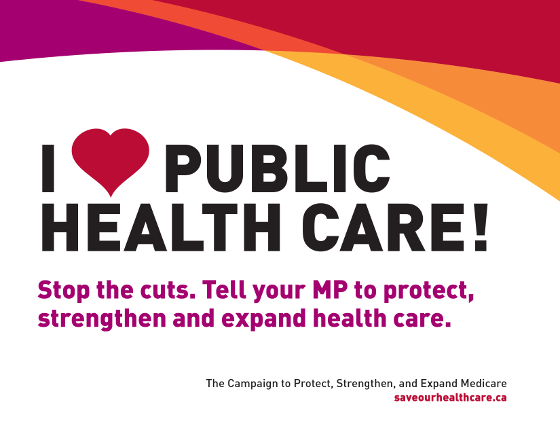 Ontario: Click to call Ontario Health Minister Christine Elliott and tell her you oppose Ford's secret plan to privatize health care! Action Alert: 91% of Canadians want a National Pharmacare Program. It’s time.